All the missions were basically the same, the God of WG smiled down on me. As usual...best day ever! Need to have the same. I hate when all missions are for different type or nations. Each tier range in all 3 missions were all completed in one battle. If I was a better pilot it would have taken me only 3 games for 7 tokens. Hi ho that's how a cowboy does it! 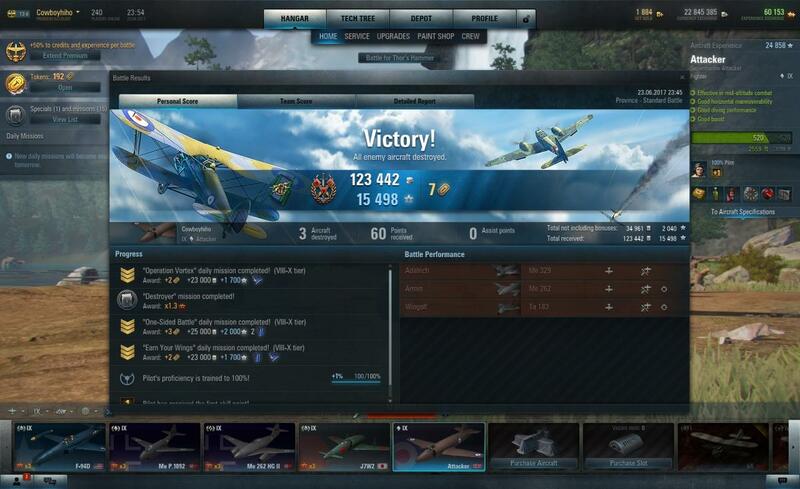 World of Warplanes Game Discussion → General Gameplay Discussion → Lack of Fun Factor?